In my life, I've visited many parties, events and festivals. 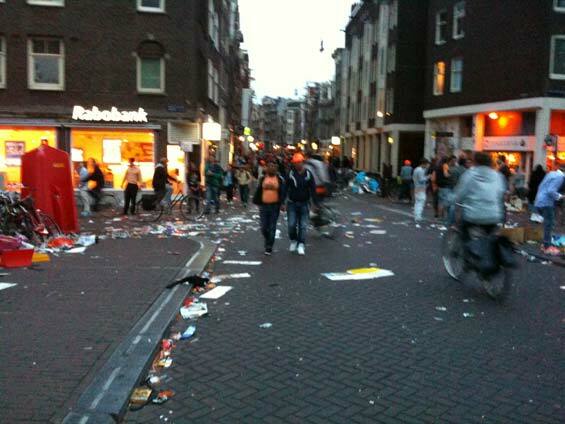 But nothing quite beats Queensday, the holiday celebrating the (previous) Queen of Netherlands' birthday. 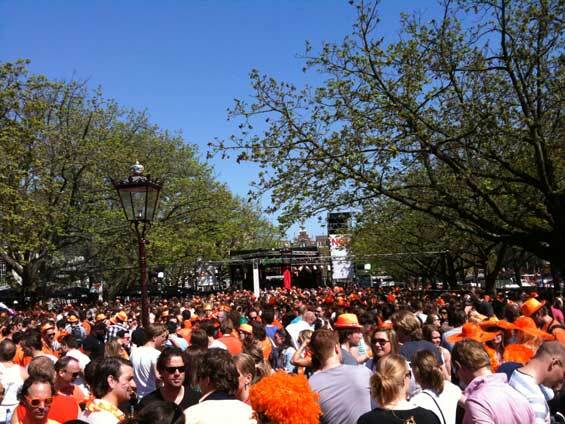 Every April 30th, festivities are taking place throughout the country, but the greatest gathering happens in Amsterdam, where around 700.000 people take over the city. Amsterdam is one of the coolest and most easy-going cities in Europe, worth visiting by itself, but if you want to see something like you haven't seen before, you should do yourself a favor and visit the Koninginnedag. 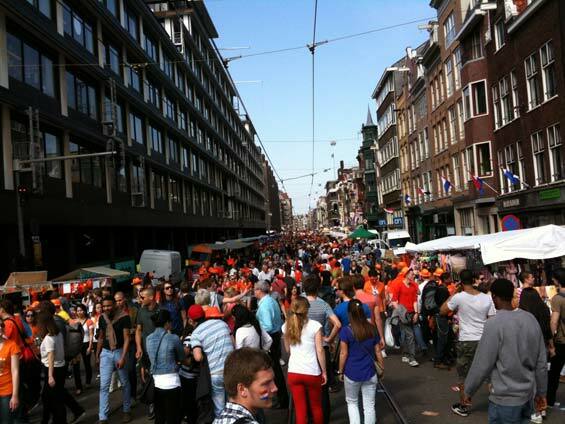 The whole Amsterdam city center, a few square kilometers in size, becomes a massive traffic-free festival, crowded with people dressed in the Dutch national color - orange. Most bars set up their own sound systems outside, and almost every bigger square gets a stage. A variety of music for every taste can be heard everywhere, even though electronic dominates (no wonder the Netherlands has so many good DJs!). 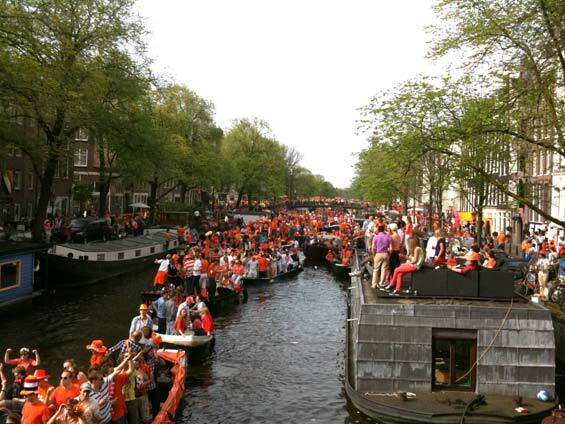 But what makes Queensday completely different from other festivals, are the famous canals in Amsterdam. Boats loaded with dancing people, some with their own DJs, are slowly cruising the countless channels, making this event extremely dynamic and fun. 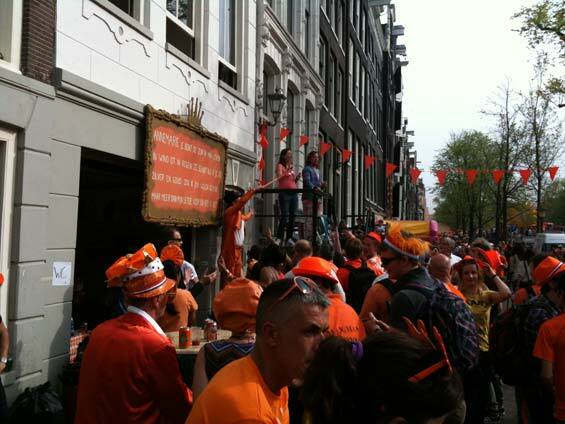 Queensday is happening during the day, from the morning until the evening. The Dutch seem to not care too much about their canabis "legalization", since alcohol is the key party ingredient. Heineken, Grolsch and Amstel are sold everywhere, in bars and on the streets by civilians (usually for 2 euro for a can, since it's legal to sell things on this day without tax). Concerning the fact it's a drinking holiday, the party is surprisingly peaceful. This was my third time and I haven't seen a single brawl yet! The Dutch are an awesome nation, and their energy transfers to tourists instantly. 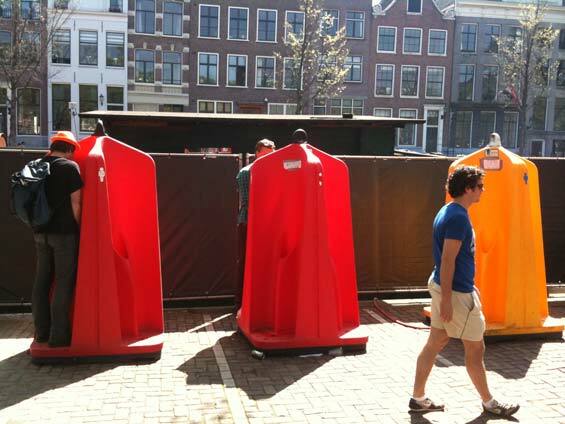 It's fascinating Queensday in Amsterdam is not as well known as you would imagine - most people I know did hear of it, but not that many know what's happening there. The greatest party in the universe, that's what! 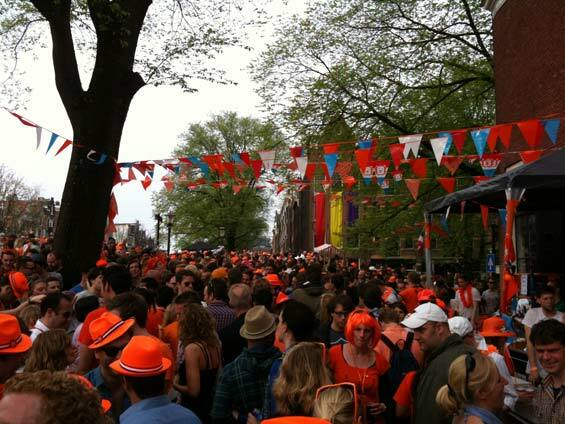 So trust me on this one: clear your plans for the next April 30th, find your accommodation a few months in advance, fill your car with a few friends, prepare to get dressed in orange and set your stomach for Dutch beer, because Queensday is definitely one of the things you should put on your bucket list. Night's coming, and the party's over. Who will clean up all this mess? Take a tour of the streets of San Francisco. Here's everything you need to know about travelling to Sri Lanka.